Garage Canada is offering you awesome deals for the upcoming the Spring (March) Break. Right now, you can save an extra 30% off on all sale styles, including tops, tees, dresses, jeans, and more! Excludes sale jackets, and online clearance section. This offer is valid for a limited time only, while quantities last. Not to mention, when you buy 1 pair of jeans, you can the second pair for 50% off for a limited time only, while quantities last. 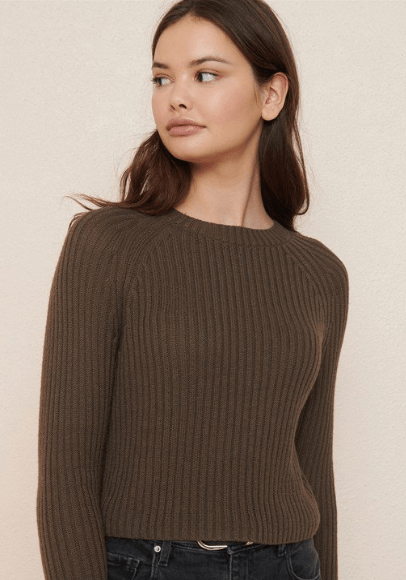 This Super Soft Midi Sweater is on sale for only $17.50. You’re saving $17.45 from the original price of $34.95! So soft, so cozy, so necessary for those cold weather months! This sweater features midi length, ribbed knit, long sleeve, crew neck, and semi-relaxed fit. Garage Canada offers FREE shipping when you spend $40.00 or more. Click here to start shopping at Garage Canada.